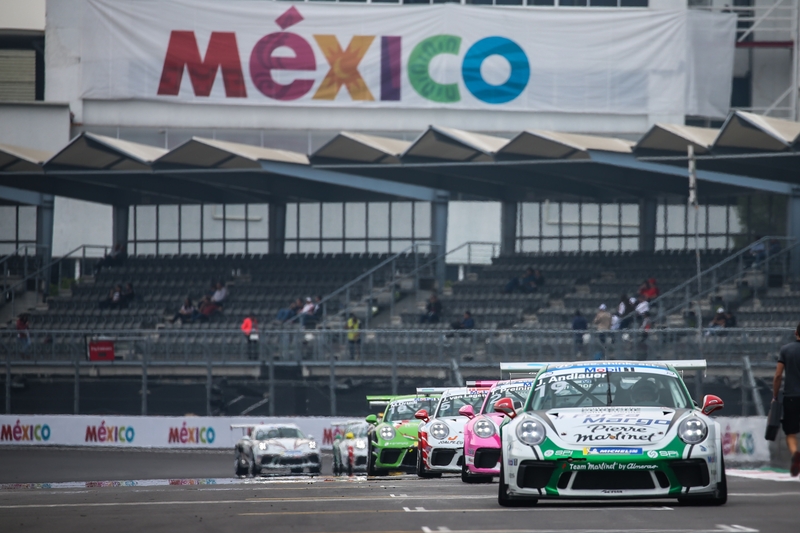 The Porsche Mobil 1 Supercup 2018 season finished in Mexico City. 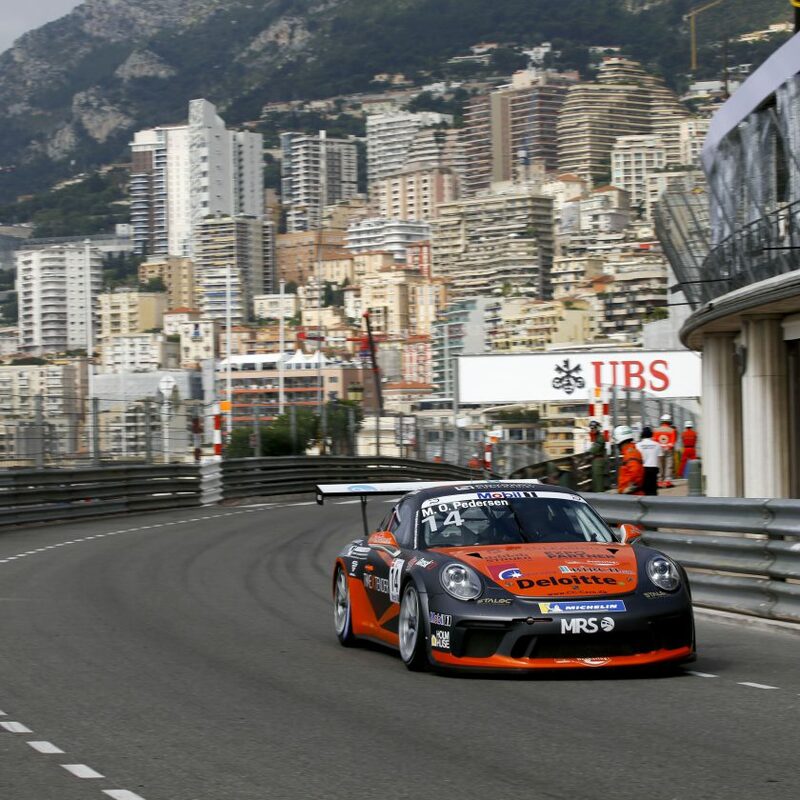 Championship leader Michael Ammermüller had Pole Position, just like in yesterday’s race. Julien Andlauer started second, followed by Thomas Preining. Nick Yelloly would start the race from fifth, as the final championship contender. Andlauer took the start, while Ammermüller came under a lot of pressure from teammate Preining. He managed to fend him off, and Preining actually lost out to Yelloly. Zaid Ashkanani tried to overtake Larry ten Voorde, but had to fall in behind again. The two pulled a whole train of cars, so there were a lot of battles around them. Romain Berville had a very short race, having to retire on the opening lap. Nick Yelloly took second position of the race on Lap 3, sending Ammermüller one place further back. Ammermüller had such a points gap, that he pretty much only had to finish the race in the points, to secure the Championship. The stewards gave Thomas Preining a three-second time penalty, since the Austrian driver had taken a shortcut on the first lap. That didn’t stop him from overtaking the other drivers, diving past Michael Ammermüller, grabbing third position. Preining made it into second on the 10th lap of the race, outbraking Yelloly into Turn 1. Jaap van Lagen, Mikkel O. Pedersen and Josh Webster had a close fight for 10th position, swapping the positions several times. Jaap van Lagen continued to fight, now banging wheels with Philip Hamprecht. Richard Heistand got a five-second time penalty for track limits. Nobody were able to touch Julien Andlauer, who won his second race of the weekend, ahead of Nick Yelloly and Michael Ammermüller. Thomas Preining did however finish as the second car on the road, but ended up fourth, after the time penalty. 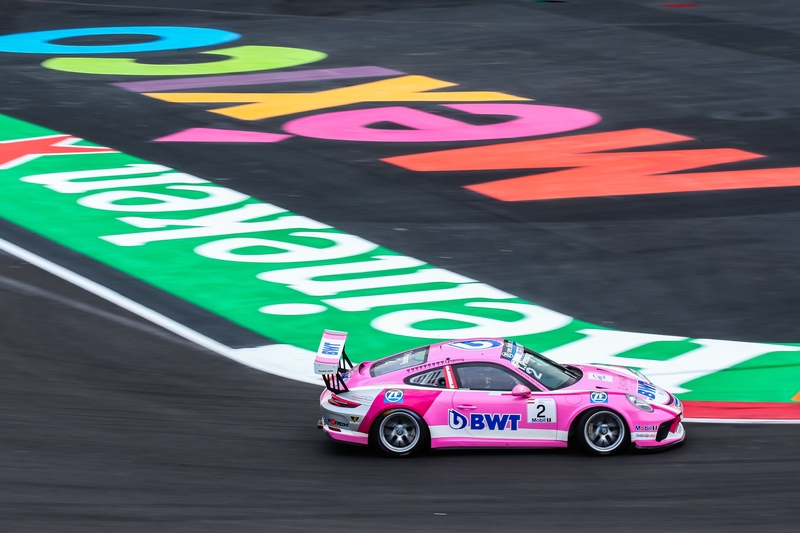 Michael Ammermüller won the Porsche Mobil 1 Supercup 2018 Championship, for the second year in a row, ahead of Nick Yelloly and Thomas Preining. 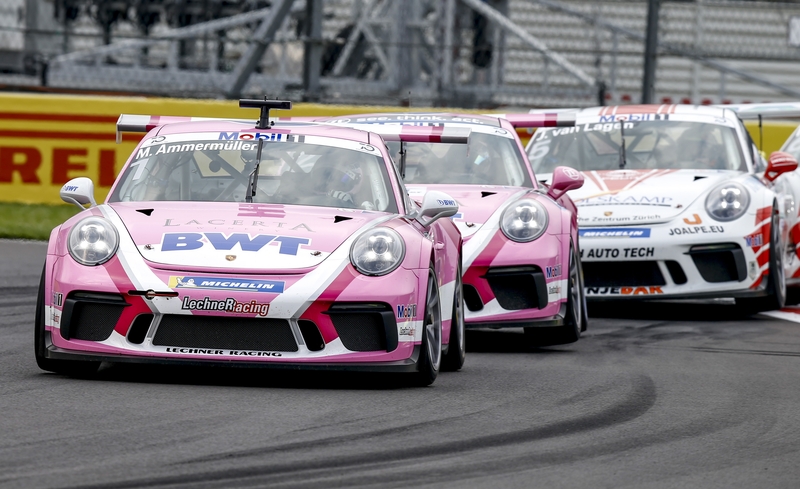 It has been ten intensive rounds, with a lot of close racing and a lot of rubbin’ between the cars, like we are used to in the Porsche Mobil 1 Supercup. The 2019 schedule hasn’t been announced just yet, but it will most likely be with a start in Barcelona in May.